The average conversion rates on websites are a shade above 2%, whereas top rated companies get upwards of 7%. There is a logic behind this high rate of conversion, which incidentally, also happens to be the KPI for evaluation of a site’s effectiveness. It is not just the brand value that gives the top companies the high rates, it quite evident that the top-rated companies are adopting a different approach. The Primary goal of any B2B website is to get clients to focus on the product or service. In 2019 having a minimalistic website is right foot forward for the busness2business in the process of increasing user engagement, gain more customers and retention user for your services. demographic is defined and know how critical is a minimal User interface for consumer-oriented companies client conversion at the first. The design is a creative presentation of the product, turning the spotlight onto the product. Overdo the design and the spotlight loses its focus, becoming clutter. A website has all of 7 precious seconds to grab a user’s attention and offer clear information about what the site is all about. Employees tasked with initiating the search for a service provider or manufacturer, need to offer a comparative analysis of different manufacturers/service providers. Too much of clutter will offer little information to the client which means that it will not go onto the comparative table. information needs to stand out, crisply, helping the employees to extract the information and differentiators that will help in the assessment of all available options. A website that takes a very long time to offer the information sought by the employee, will lose the opportunity of getting shortlisted. The employee needs to be engaged enough so as to get the brand onto the shortlist. And this can only be achieved without clutter. The webpage shown below has one of the most intelligent designs. It keeps the focus on the product. In the design below, while it may appear at first glance that there is less information, with the image taking up more space, on closer inspection, it can be seen that most details of the bike are on screen. A visitor whose attention has been grabbed by the imagery in the first seven seconds would have fulfilled the first stage of the buying decision process – the need for recognition. The visitor would have decided if this is what he or she actually wanted. This then takes the visitor to the second stage – information search. The page has most of the information sought by the visitor. This makes it a lot easier for the visitor to move into the business end of the decision making process. There is always a timeless appeal to minimalism. That is the visual appeal, but there is a logic behind the ‘negative spaces’ and ‘whitespaces’. A minimalistic design that gets straight to the point is effective and has the effect of shock and awe, unlike the need for building up interest, which was practised earlier. This is primarily because of the shortened attention spans, and high-speed connections. Very few visitors have the time to labour through cluttered websites overloaded with information and disturbing creative. Flat designs have been used by the biggest tech companies. This is mainly because of the fact that readability improves with flat designs. And it is also easy to build sites that are mobile responsive. Flat designs in its present form that are more ‘semi flat’ than fully flat, offers users better readability, and this effectively means that a user will get to quickly read and understand the contents on the webpage, rather than being distracted by creatives and too many 3D designs. A visitor to a website has a purpose behind the visit. He/she is looking for something. This is different from visitors who are merely “looking at” design creatives. Impressing a visitor who is looking at something will be of very little business value. Simple, elegant and uncluttered designs are in, and complex complicated heavy designs are out. Apart from the admiration of creative designers, a design heavy site will never contribute to conversion rates. One reason that many businesses have failed to identify is the fact that there are requirements for speed and mobile responsive pages. A complicated design and interface may be difficult to optimize for mobile devices and this is reason enough for sticking to just what is required. With mobiles overtaking desktops for searches, it is time that mobile responsive pages became a priority. With smartphone usage and internet penetration offering higher speeds, users now regard slower sites as unworthy of their time. Speed is a standard and not a differentiator anymore. Effectively, it means that a site that is slow will fail to make the cut, beyond the discovery stage. The higher a page is ranked, the more chances of high quality lead checking out the website. Now, this is one of the most commonly known facts. However, there is an underlying fact to this. A page that loads slower, will rank lower on SERPs. In other words, the chances of a slower website being checked out by a visitor who needs the specific products or services will be a lot lesser than a site that loads faster. And a design heavy page that has too many elements to load will do so at a slower rate, effectively killing chances of making it to the top of the SERPs. A/B testing is still a powerful tool to help marketers identify the best options to have on landing pages. And there is strong evidence to support the cause of minimalistic UI/UX designs for getting more eyeballs, clicks, time on page and conversion rates. Web designers typically rely on A/B testing to understand more about the impact of design elements and remove the need for second-guessing. The results of A/B testing offer measurable metrics, permitting web designers to make suitable changes. And a simple A/B test of two designs of a website, one minimalistic and the other design/interface heavy will be proof of the unmatched engagement of the minimalistic design. This is an important period for businesses as the ecosystem will continue to witness heavy competition in the days to come. Companies that wish to weather the storm of competition, need to stand out to be noticed in each highly targeted business to business customers. Minimalism has lent a whole new meaning to differentiators. Differentiators, regarded as ‘something new’ used to be automatically considered as ‘something additional/innovative’ that helped a company to stand out in the crowd. This in turn made companies include features, bells and whistles that only added notional value. However, minimalism has turned the description on its head, with companies ‘removing’ clutter, to give a ‘fresh look’ to designs. ‘Less’ is the new ‘differentiator’ in UI/UX that helps companies to reach out to audiences with greater clarity. After all, it’s necessary for e-commerce website development companies to embrace minimalism and help B2B companies stand out. Hey there. 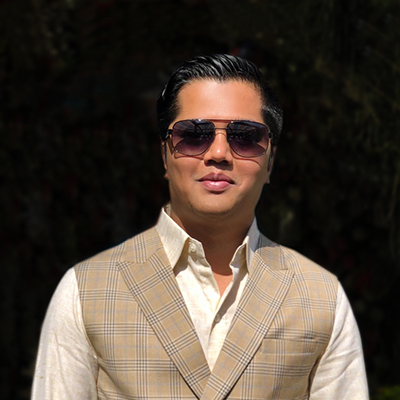 I am Dhaval Sarvaiya, one of the Founders of Intelivita. Intelivita is a mobile app development company that helps companies achieve the goal of Digital Transformation. I help Enterprises and Startups overcome their Digital Transformation and mobile app development challenges with the might of on-demand solutions powered by cutting-edge technology. Sign up now and get notified when we publish a new article!